Wired - Chris Lattner (MS ’02, PhD ‘05), creator of LLVM and Swift, described as “a rock star among software engineers,” is one of several former Apple employees joining Tesla Motors. TechCrunch - Chris Lattner (MS ’02, PhD ’05), creator of LLVM and Swift, has joined Tesla Motors as Vice President of Autopilot Software. How secure are our airports? CNN - In the wake of the Ft. Lauderdale shooting, CS Professor Sheldon H. Jacobson's op-ed explains why airports will continue to be targets. Forbes - Former CS student Cory Levy, co-founder and COO of After School, was named to the 2017 Forbes 30 Under 30 list. 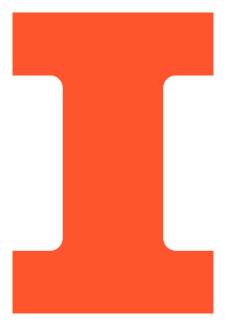 Chicago Inno - HackIllinois is heading into its fourth year this February. But this year, students are trying something a little different, and unique among collegiate hackathons--they're challenging participants to create sustainable open source projects. Smile Politely - University of Illinois Research Park startup Veriflow Systems is expanding to One Main Plaza in downtown Champaign. Veriflow was co-founded by CS Professors Brighten Godfrey & Matthew Caesar and Dr. Ahmed Khurshid (PhD CS ’15). Chicago Inno - Illinois ranks 3rd in the US, and 14th in the world, for best student coders, according to a new list from HackerRank. Chicago Tribune - A study from CS Professor Sheldon Jacobson shows that making PreCheck free for all travelers could save the TSA millions of dollars. These 19-Year-Old Engineering Students Predicted Trump's Win. Here's How. Chicago Inno- In June, Tweetsense, an Illinois startup by Cody Pawlowski (attended CS) and William Widjaja (ECE), correctly predicted Brexit. They also correctly predicted Donald Trump’s win. The News-Gazette - CS Prof. Sheldon Jacobson talked about the aftermath of the presidential election. A near-total swing in undecided voters to Trump was 1 of 21 scenarios laid out at the Election Analytics website, but most analysts discounted it. WCIA News - With just days until the election, Trump is gaining in the polls, but Election Analytics, led by Professor Sheldon Jacobson, still has Clinton leading in the Electoral College. The New York Times - Researchers are turning to more efficient algorithms as chipmakers approach the physical limits of silicon. CS Professor Marc Snir and collaborators at Argonne National Lab look to trade precision for efficiency to realize energy savings in supercomputing, while Ali Farhadi (PhD CS ’11) leads work on efficient neural networks. Los Angeles Times - Therese Tucker (BS Math & CS '84) is the founder and CEO of BlackLine, Inc., a cloud-based accounting software company, which went public on October 28 and is now valued at over $1.1 billion. Fox Illinois - CS Professor Brighten Godfrey discussed a massive Denial of Service attack that took down hundreds of popular websites. "The scale of the attacks is increasing, and it’s increasing rather quickly. DNS defenses haven't kept pace,” Godrey said. “We need to limit the sources of the attacks directly." Quartz - According to CS alumnus Max Levchin (BS CS '97), that the key quality that made PayPal successful was trust. "What made PayPal different was that in the crucible of a really difficult moment we’d say, ‘you’re the best in finance, you’re the best in engineering. We’re going to completely trust your opinion..."
WILL - "The U of I’s Election Analytics show the state of Illinois comfortably in the Democrats’ column in the races for both president and U-S Senate." USA Today College - CS Professor Sheldon Jacobson's Election Analtyics website "doesn’t predict the future; instead, the analytic tool provides a snapshot of the 2016 presidential election if it were held today." The Daily Illini - "RealClearPolitics and FiveThirtyEight are similar websites but the University’s group believes it can actually predict the election better than these giants. The site’s goal is to provide a clear idea of which candidate is statistically ahead, said Sheldon Jacobson, a computer science professor who created the website before the 2008 election. 'We’re nonpartisan; we don’t have any biases,' Jacobson said. 'We don’t blog about it; we simply give you the facts.'"